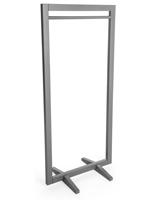 These Garment Racks are Very Popular Store Fixtures, Suitable for Any Retail Establishment! Buy Online with Confidence! 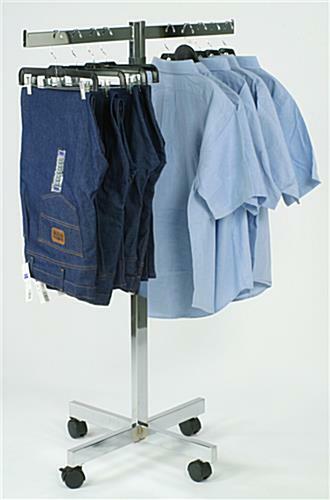 These garment racks are excellent choices for the typical clothing store. 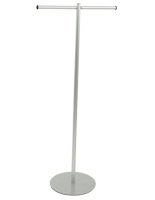 The displays are seen in virtually every retail shop across the country. 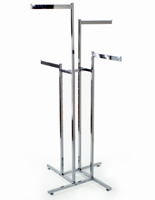 The garment racks, also called clothes fixtures, are affordable and fit in with most retailer's budgets. 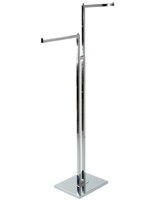 They feature a bright polished chrome finish which accents your items nicely. 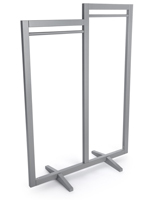 These garment racks are also two-sided, enabling you to display more merchandise. 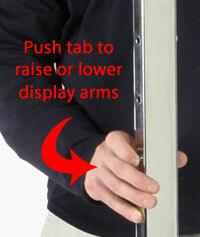 Each arm can be independantly raised or lowered, letting you showcase clothing of different heights. 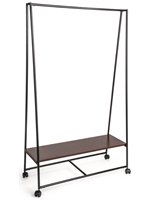 These garment racks for retail stores feature rolling casters beneath the base. This provides you with mobility throughout the store. The garment racks can be easily moved when it's time for a new floor layout. To raise an arm, all you have to do is push the button spring on the main support pole, which then locks into segmented holes. 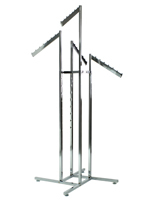 These clothes fixtures, garment racks are great for showcasing complimentary outfits which can lead to greater sales. Buy online today with confidence. 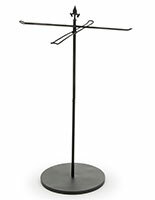 We supply these garment racks with same day shipping!